Citizen activism in communities like Somerset and Salem have recently forced retirement of two of the oldest and dirtiest coal plants in Massachusetts. Now residents take on Mt. Tom in Holyoke. Citizen activism in communities like Somerset and Salem have recently forced retirement of two of the oldest and dirtiest coal plants in Massachusetts. Coal is dirty and is a leading source of mercury and air pollution in New England. 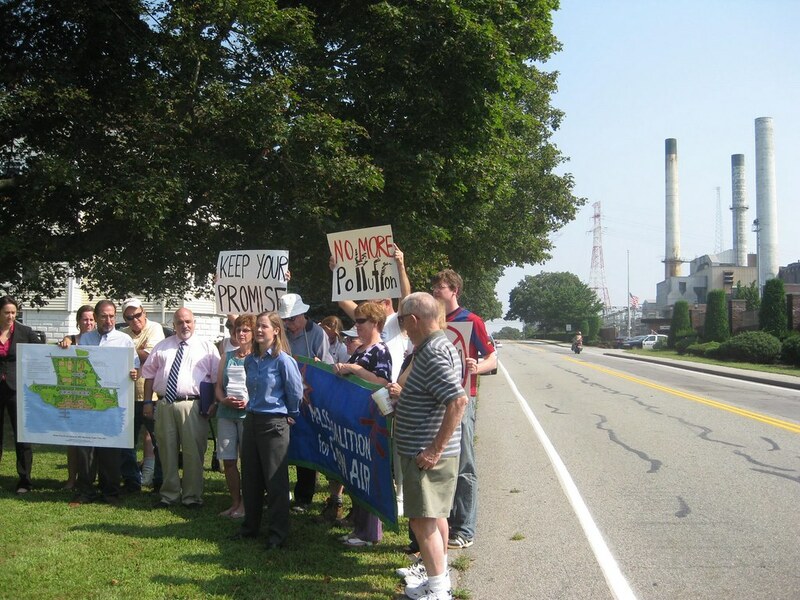 Toxics Action Center Campaigns is working in collaboration with other groups to pass a bill that would require coal plant owners to phase out the two remaining coal plants in Massachusetts and set up a Community Repowering Fund to assist the local community. Located along the banks of the Connecticut River in Holyoke, Massachusetts- the Mt. Tom coal-burning power plant is one of the biggest polluters in the state. According to owner, GDF-SUEZ’s own quarterly reports of mandatory monitoring at Mt. Tom Station, the plant has a total of 2,484 separate violations of opacity emission limits occurring from January 2005 through June 2010. Despite new air pollution controls, Mt. Tom still released more than 300,000 pounds of toxic chemicals in 2009. These air pollution violations demonstrate that Mt. Tom cannot operate safely. Opacity emissions primarily monitor particulate pollution, one of the most dangerous air pollutants which has been linked to asthma and other respiratory illness, heart attacks, and even premature death. The plant also discharged muddy storm water over five months during construction work in violation of a federal permit, according to the federal Environmental Protection Agency in Boston. The Pioneer Valley already has polluted air. Hampden County received an "F" grade for air quality from the American Lung Association, and its children suffer from double the asthma rate compared to the rest of the state. Toxics Action Center is working with local residents and other groups as part of a coordinated effort to retire Mt. 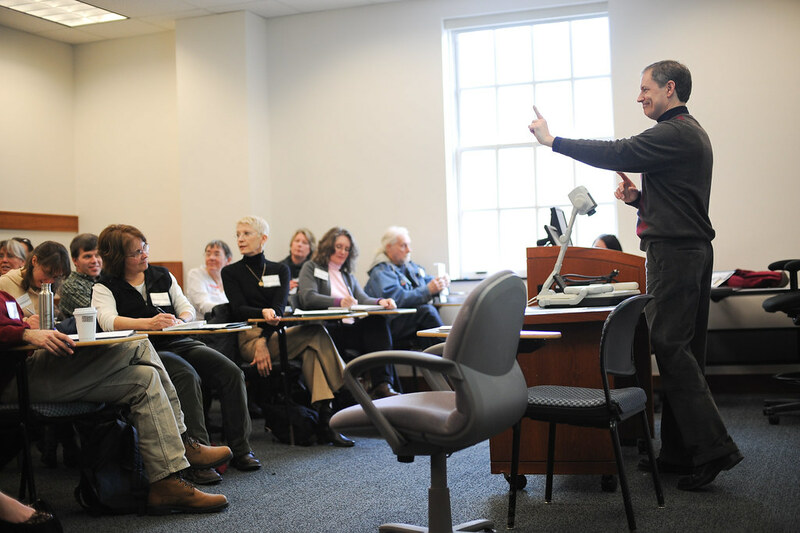 Tom as well as create a new vision for Holyoke’s economy and environment. This summer dozens of young activists will be canvassing neighborhoods in Western Massachusetts to build support to retire coal plants in Massachusetts, including Mt. Tom. Help put pressure on plant owners to retire Mt.Tom: Sign our petition. In June, a settlement was reached in the state's lawsuit against Mt. Tom's owners for having thousands of pollution violations. Unfortunately, the settlement included a mere $25,000 fine and the setting up of an education program for wood-burning stove owners. This small fine will do little to encourage GDF-Suez to actually reduce their pollution in the long-term and protect the health of area residents. The proposed incinerator would have released almost two tons of lead into the air every year. Toxics Action Center’s Organizing Director Sylvia Broude renewed her work with the community and pushed back. 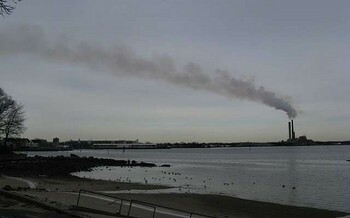 In response, the company withdrew their plans to build an incinerator and now residents are working with town officials to redevelop the waterfront site.Somerset area residents won a resounding victory in late February when NRG Energy, the owner of Somerset Station, a coal-burning power plant, announced it would permanently shut down the plant. The 86-year-old coal plant had previously stopped operating in January 2010 after years of pressure from Toxics Action Center, the Conservation Law Foundation and local leaders, but soon after this apparent victory, the company presented a plan to revive the plant as a construction waste incinerator. Read here more about the campaign in Somerset. 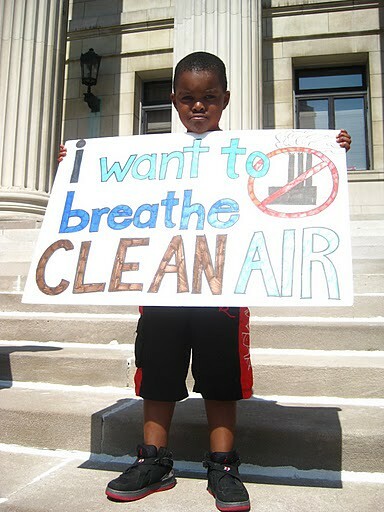 Coal is dirty and polluting when it is mined, transported to power plants, stored, and burned. It causes smog, soot, acid rain, global warming, and toxic air emissions. In Massachusetts, 2010 saw an estimated 5,280 public health incidents such as these that wasrelated to the pollution emitted from coal-fired power plants (“The Toll From Coal.” Clean Air Task Force. September 2010). Coal-burning power plants are the major source of mercury pollution, a neurotoxin especially harmful to children and developing fetuses. A typical coal plant generates 170 pounds of mercury in a year. Just 1/70th of a teaspoon of mercury in a 25-acre lake can make the fish unsafe to eat. Mercury from coal-fired power plants have been shown to cause neurological damage, including lower IQ, in children exposed in the womb and during early development. One in six pregnant women have enough mercury in their bodies to put their child at risk. In addition to mercury, coal plants produce toxic wastes, including arsenic, chromium, and cadmium that can contaminate drinking water supplies and damage vital human organs and the nervous system. 1. Require the state to adopt a plan for replacing all use of coal as an energy resource in the Commonwealth by 2020. 2. Require an assessment of the potential for re-use of the site for alternative uses, including electric generating alternatives that emit few or no greenhouse gas emissions, as well as alternative uses that do not include electric generation. 3. Establish a fund from the companies to mitigate costs to host communities for coal plants. Sign our petition for a Coal-Free Commonwealth.